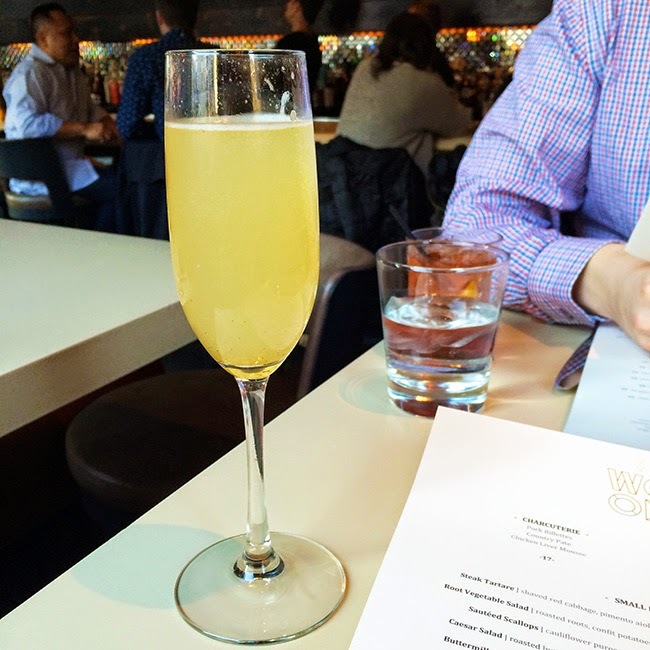 …Went on a little dinner date with the boo to Wood, which had maybe one of the best champagne cocktails I've ever had (somehow not overly sweet!) and some freaking amazing spicy lobster pasta. Jeff and I realized we hadn't had a real date night in a while and it was fun to go out and get the chance to connect without work or wedding invitations in the way. …Speaking of wedding invitations, finished putting all of ours together! We thought it wouldn't be that much work to do all of them ourselves rather than enlisting friends and family members for help. Umm, wrong! It took us three episodes of Unbreakable (finally finished the season, and OMG Jon Hamm!) and 10 Things I Hate About You as well as some wrestling (that one was not my choice ;) to get through them all. …Stopped in to Taverna 750 for drinks (each martini comes with a separate "sidecar" on ice, aka, second drink!) and a freaking amazing peanut butter torte. Now I need to go back for dinner sometime! …Went to church and Easter brunch with Jeff's parents, and then drove up to my grandma's house to meet up with my giant extended family for Easter dinner. You always go to these really fun restaurants and bars, you definitely live in a great area! wow, it sounds like you had a very busy weekend!! honestly, my mouth has been drooling since you said spicy lobster pasta. have a great week! What a fun weekend! Can't wait for you to post more about the invites - I'm just getting my save the dates and even that is exhausting, lol!